Widely considered to be one of the greatest and most influential anthropologists ever, Franz Boas was a German-American scientist, who is also known as the “Father of Modern Anthropology”. He was the first person to implement the scientific method into the study of human cultures and societies. 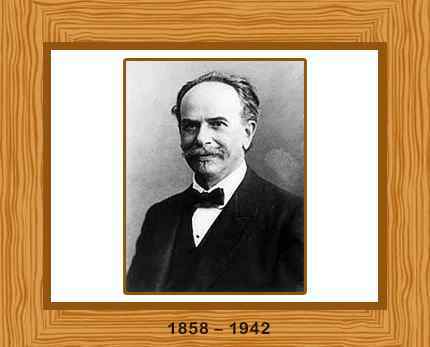 Born in Minden, Westphalia, on July 9th 1858, Franz Boas showed an early interest in both nature and natural sciences. He studied at the universities of Heidelberg, Bonn, and Kiel, and he received his doctorate in physics and geography from the University of Kiel in 1881. His doctoral thesis researched the optical properties of water. Boas continued with his geographic interests in preference to physics and he earned his “privatdozent” (teaching qualification) in geography with research he conducted from 1883 to 1884 in Baffinland, Canada, studying native Inuit migrations. In 1888 he published his book “The Central Eskimo” based on his research. In 1885 he worked at a museum in Berlin and there he developed an interest in the Native Americans of the Pacific Northwest. In 1886 he embarked on a three month study of the native tribes of British Columbia. This was to be the first of six trips to this region. On his return, in 1887, he took a position in New York as assistant editor of the journal “Science”. That same year, he married Marie Krackowizer in New York and they had six children together. Boas followed this with a move to Clark University in Massachusetts in 1889, his first teaching position. In 1892 he became chief assistant in anthropology at the Columbian Exposition in Chicago, subsequently working at the Field Museum in Chicago until 1894. In 1896 Boas became lecturer in physical anthropology at Columbia University, New York and in 1899 he was promoted to professor of anthropology. Boas remained at Columbia University for the rest of his career. Boas was also curator of anthropology from 1896 to 1905 at the American Museum of Natural History in New York. Franz Boas was the most important figure in 20th century North American anthropology. He laid down the four-field structure of anthropology around cultural anthropology, physical anthropology, linguistics and archaeology. He advocated that these four fields of research should all unite to provide a complete picture of anthropological research. His 1911 publication “The Mind of Primitive Man”, was based on a series of lectures concerning race and culture. It was influential in undercutting eugenics arguments and lessened the significance of anthropometric measures of race. One of his most significant contributions to physical anthropology was his study of changes in body form among children of immigrants in New York. He published “Changes in Bodily Form of Descendants of Immigrants” in 1912. Boas proposed that the environment had an effect on physical features which is shown through change over time. In linguistics, he published studies of Native American languages, including “On Alternating Sounds” in 1889 and “Handbook of the American Indian Languages” in 1911. His other publications included “Primitive Art” in 1927, “Anthropology and Modern Life” in 1928 and “Race, Language and Culture” in 1940. He also trained many professional anthropologists, many themselves going on to establish anthropology courses at other universities. The archaeological works of Franz Boas were almost cursory. While studying culture, his theoretical contributions dealt with the critique of evolution. He destroyed the rationalist theories of human nature. His historical particularism, his insistency on stringent ethnographic method, and his stress on “the native point of view” were pivotal to the development of modern anthropology. Franz Boas oversaw the Columbia Anthropology Department for more than four decades. He retired from the University in 1936, becoming emeritus in residence. Boas died on 21 December, 1942 after suffering a stroke. He was 84 years old.